We commonly hear this comment and similar concerns from patients in our office. Just like the age-old question of whether the chicken or the egg came first, it may be difficult to pinpoint whether your contact lenses are causing eye irritation, or if dry eye symptoms are causing discomfort with your contact lenses. Either way, no one wants to experience the burning, redness, and irritability of dry eye syndrome (especially when it feels like your contact lens is suction cupped to your eyeball). Fortunately, there is a way for contact lens wearers to see well without aggravating dry eye symptoms. Contact Lenses: Which Kind Is Best For Me? 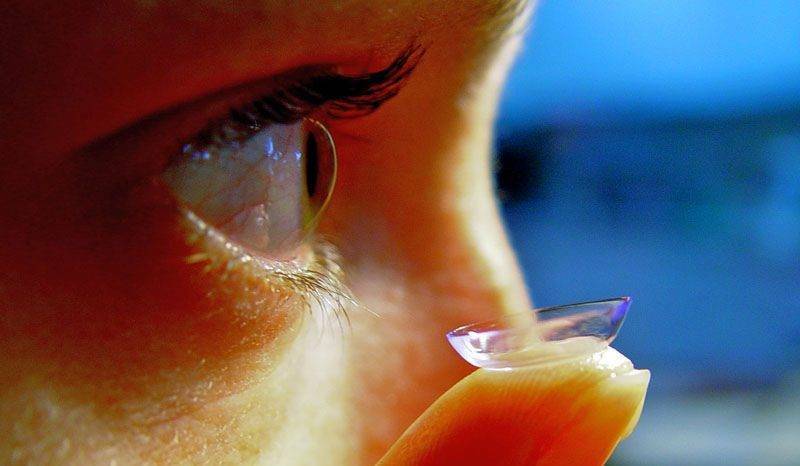 Daily disposable contact lenses are the best option for contact lens wearers who experience dry eye. Here are three reasons why. 1. Lenses can develop microscopic buildup from substances found in your tears, including calcium, proteins, and lipids. Even after being cleaned, these deposits may remain and cause discomfort. 2. Contact lens solutions, which clean and disinfect lenses, can cause irritation in some users with sensitive eyes. 3. Are you guilty of sometimes falling asleep at night without removing your contacts? You’re more prone to bacterial infection and other eye problems. Since they are discarded after a single-use, wearing daily disposable contacts helps eliminate these issues. Your eyes are healthiest and most comfortable when you replace your contact lenses frequently. If you are experiencing discomfort with your contacts or dry eye symptoms, talk to Dr. Ashcraft about the best option for you. Top image by Flickr user suanie used under Creative Commons Attribution-NonCommercial-ShareAlike 2.0 Generic (CC BY-NC-SA 2.0) license. Image cropped from original.